Round two for some serious brutality. 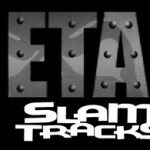 Slam Tracks continues to seek and destroy all things metal, MIDI, and drums with the latest MIDI drums collection: Metal MIDI Drum Loops Pack 2. As the only modern metal MIDI drum loop songwriting library, Metal MIDI Drum Loops Pack 2 will be your ultimate weapon in taking your metal to the next level and deliver the pure brutal power to become an invaluable resource for modern metal recording, for metal producers and musicians alike. Developed for modern extreme metal with MIDI drum parts capturing the feels and styles of modern metal bands like Whitechapel, All Shall Perish, The Red Chord, Job for a Cowboy, Metal MIDI Drum Loops Pack 2 delivers nearly a thousand intense metal MIDI drum patterns for all drum virtual instruments. No drum parts are quantized but will deliver the absolute accuracy and tightness expected for the extreme modern metal genre. Intense kick drum work, emphasizing the syncopation and phrasing in extreme and modern metal as well as the insane double bass runs and blasts that serve as the foundation for the genre. This collection of MIDI drums captures all the power, aggression, and intensity your music demands. Metal MIDI Drum Loops Pack 2 delivers the precision, power, and aggression to inspire your next modern metal project. More Product Information in the Products section. Now Serving: Hard Rock MIDI Drum Fills! Metal MIDI Drum Loops Groove Pack 1 – Metal Grooves Unleashed!